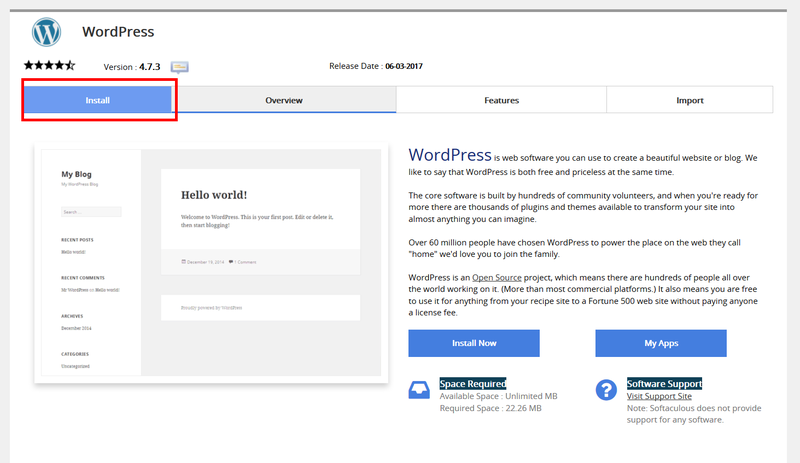 If you are a customer of Rochen hosting, you have the ability to install BoldGrid by using the Softaculous installer tool. This is done via the cPanel dashboard. 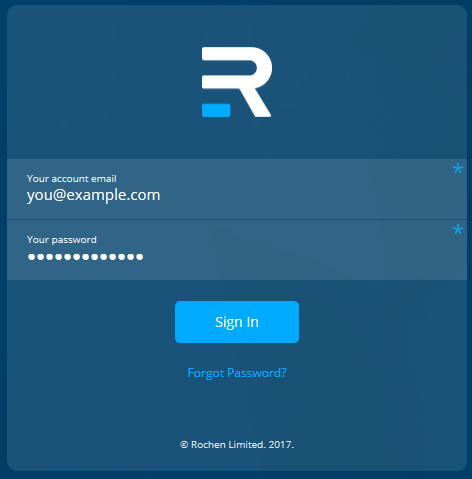 Here we will demonstrate how to install BoldGrid into your Rochen account. In your preferred browser, enter http://my.rochen.com in the address bar. This will bring you to a login page. Enter your account username and password, then press Sign In. 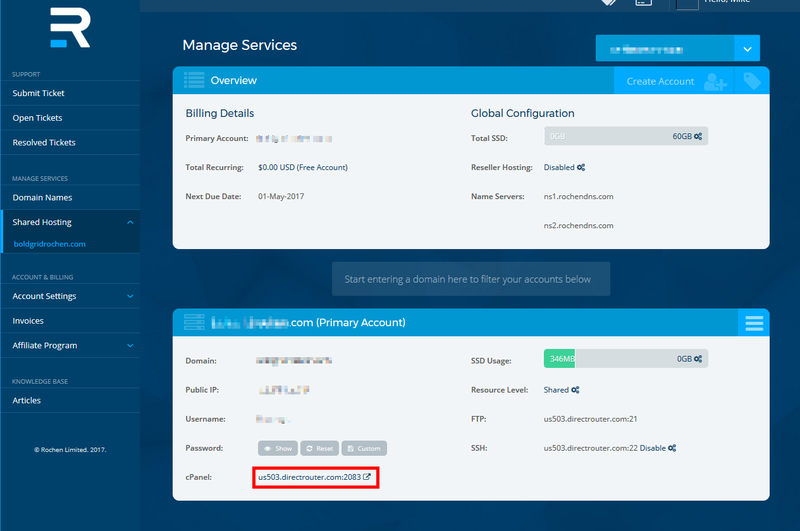 From main page of your Rochen dashboard, locate the Manage Services section and click on the domain name to which you wish to install BoldGrid. From the Manage Services page, look for the account section containing the domain and click on the cPanel link. 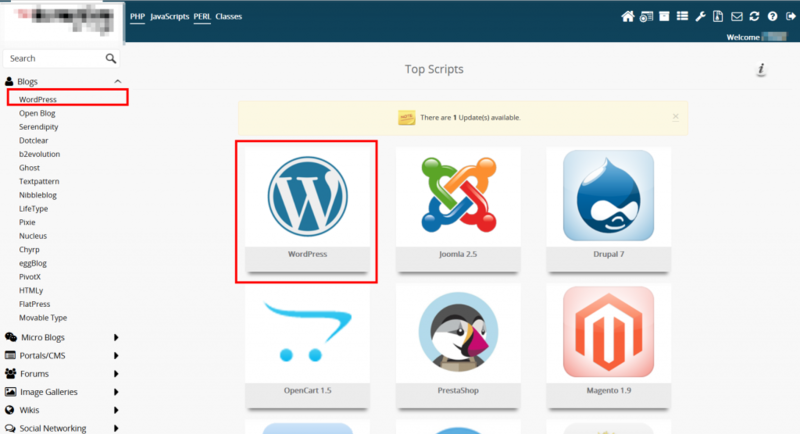 This will take you to the cPanel dashboard. 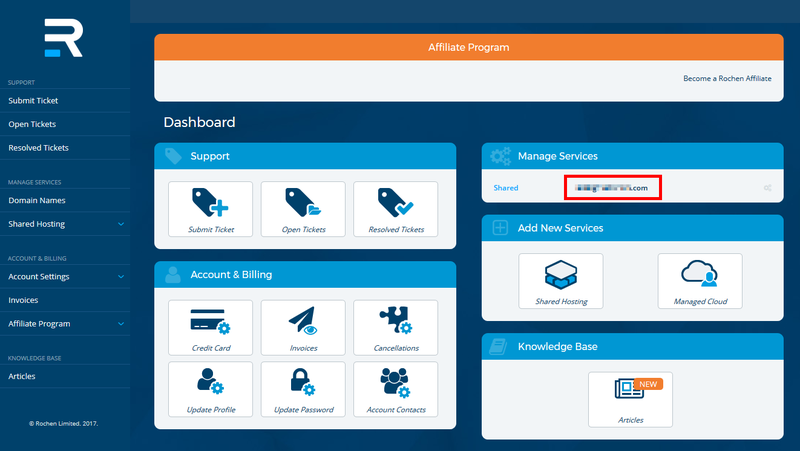 From the cPanel dashboard, click on the Softaculous icon located in the Software category.